A Note from Chris Adams: As a part of this Leading Through the Seasons series, I wonder if any of you have ever encountered a season where you felt insignificant in serving Christ? Did you think what you did was just not very important? Or did you ask God, when He assigned you an opportunity to fulfill, how He could use someone so insignificant? Thoughtfully read this article by guest writer Courtney Veasey and consider how God looks at His servants. Ask yourself if this is how you view your own ministry responsibilities and if this is how you seek others to serve alongside you. About every two years the planet Mars pays a personal visit to Earth’s celestial neighborhood. When this Mars “close approach” takes place, the naked human eye is offered its most visible sighting of the Red Planet from Earth. NASA projected this event would take place the night of May 30, 2016, so in good faith (and bug repellent) I decided to close out Memorial Day with a night watch of the heavens. Until the south Louisiana mosquito brigade got the better of me, I sat outside mesmerized by the red-tinted glow of Mars and the other visible hosts of that dark southern sky. I was once taught how our English word for planet comes from the Greek word “planos” meaning “to deceive/deceivers,” because unlike stars which stay put, planets are constantly on the move. Sailors especially must be mindful to set their sextants according to stars and not planets, lest they be “deceived” while charting their course. What helps distinguish one from the other is that stars, as we know, twinkle, while planets give off a steady brightness as they continue on their merry way around the sun. I observed these differences with my own eyes that night. In two hours time, Mars had drifted miles away like a red kickball left unattended on a lake. Though certainly awe-inspiring to behold, planets as it turns out, are lousy navigators. But stars—those small servants of the night—remain steady in their illumination of the cosmos. Paul used that word “planos” in a warning to young Timothy in 2 Timothy 3:13 that “evil men and imposters will proceed from bad to worse, deceiving and being deceived.” Like a sailor with a night sky of options, Timothy had to discern which people would either be helpful or detrimental to the course of the first-century Ephesian church as he charted the way. He wasn’t left without criteria for knowing, however, as Paul also said in verse 12, “Indeed, all who desire to live godly in Christ Jesus will be persecuted.” Not necessarily the brightest, but those who bore a consistent testimony of Christ, even through torture, were the ones Timothy could recruit as crew members knowing they embraced the mission and cared to keep it on course. Stars also tell of the Creator in this way. Though Mars was stellar to see, it was actually in noticing the consistent testimony of those glittering hosts, that I was struck with the deepest sense of wonder. God chooses the most peculiar sources to light His paths, does He not? In the way of His universe, these small flickering balls of burning gas, and in the way of His kingdom, human servants of a similar fiery yet humble nature. Concerning John the Baptist, Jesus said to a crowd, “What did you go out into the wilderness to see? A reed shaken by the wind? But what did you go out to see? A man dressed in soft clothing? Those who wear soft clothing are in kings’ palaces!” (Matt. 11:7-8). Most would probably overlook a locust-eating, oddly dressed wild man to be on their leadership team, but why so when this is the type God seems to so heavily recruit? Because for the same reason sailors mistakenly choose planets over stars for their navigation, we’ve been conditioned to assume that “biggest” and “brightest” is the obvious choice. But before it was anything else, God’s creation was a classroom teaching man to think differently of such. Contrary to culture, the Creator has “chosen what is foolish in the world to shame the wise, and God has chosen what is weak in the world to shame the strong” (1 Cor. 1:27). Oh that He might at our asking reverse the spell that’s bewitched how we think about leadership, and replace our eyes with His own that we might choose our team members, spouses, jobs, our very way of life, according to wisdom and not appearance. Courtney Veasey is a native Floridian and has lived and held various ministry positions in South Carolina, Northern California, and Louisiana. Currently, she is the Director of Women’s Academic Study Programs at the New Orleans Baptist Theological Seminary. Courtney holds degrees from Florida Southern College, New Orleans Baptist Theological Seminary, Golden Gate Baptist Theological Seminary, and is currently working on her doctorate in Biblical Interpretation also from New Orleans Seminary. 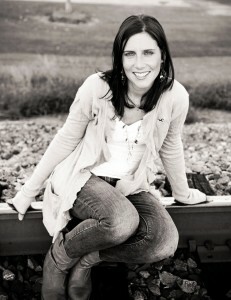 She also currently enjoys traveling as a speaker for girls and women’s ministry events.